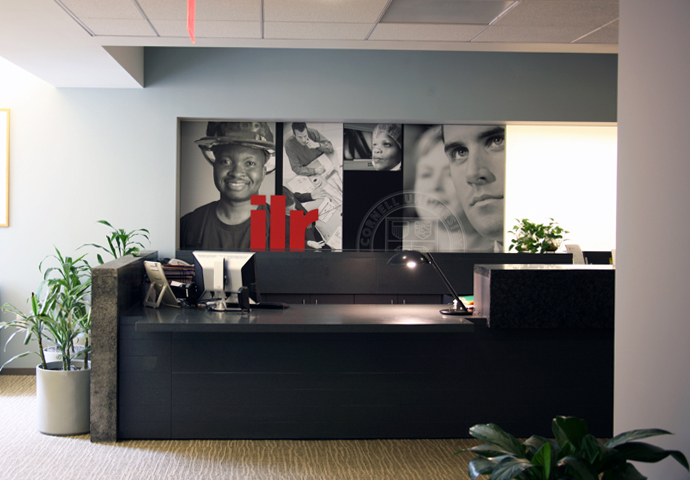 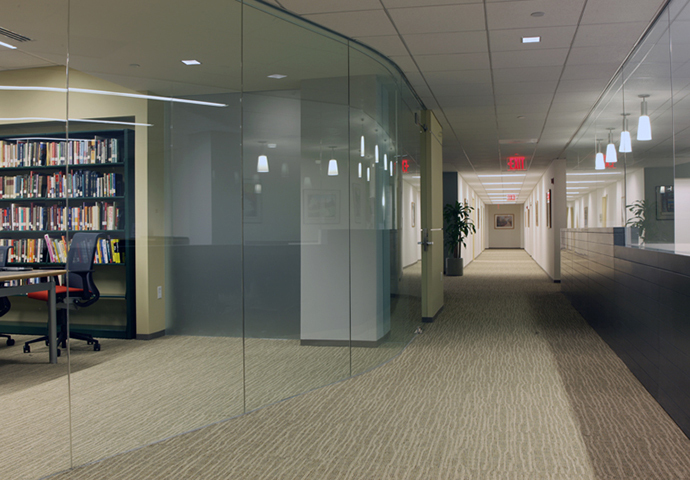 Located in midtown Manhattan, this 11,000 sq ft renovation of the Center’s expanded public areas, conference rooms, resource center and teaching facilities offer an upgraded learning environment. 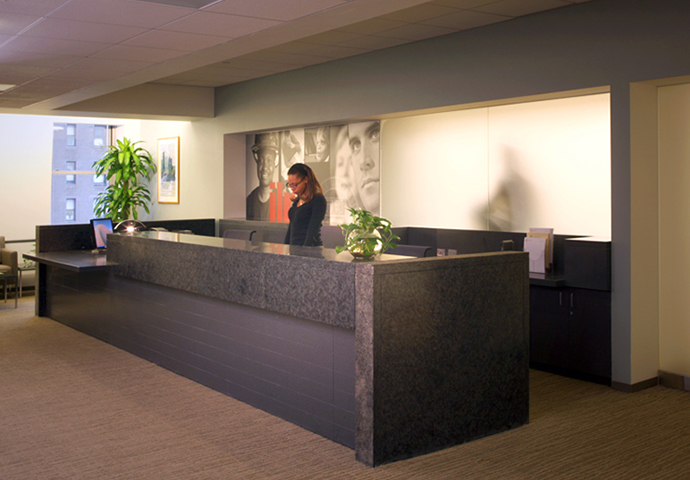 Visitors pass from the large reception area to the centrally located dining room and the resource center across the way. 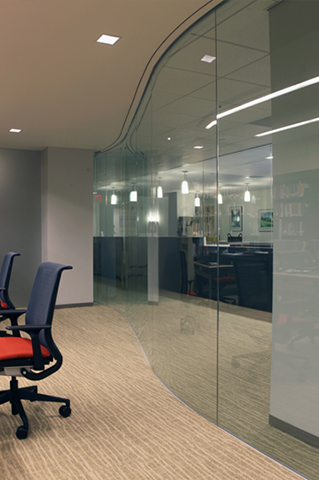 The use of glass walls gives the area an expansive feeling, and attendees can quickly see who is there while getting glimpses of the city outside through perimeter windows. 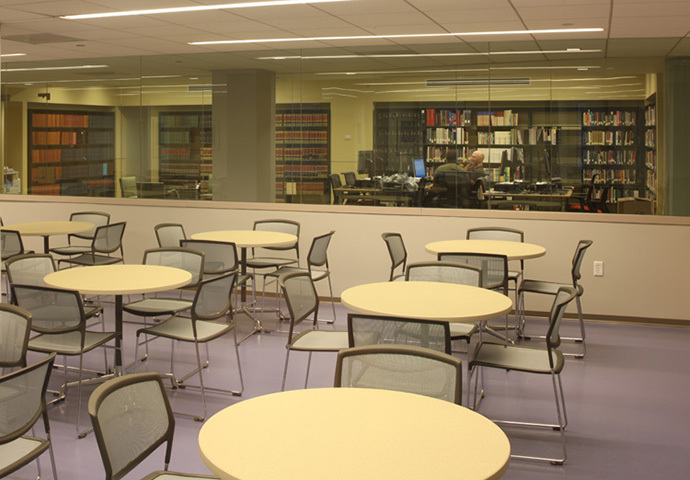 The new resource center introduces carrels with computers and houses the Center’s research collections. 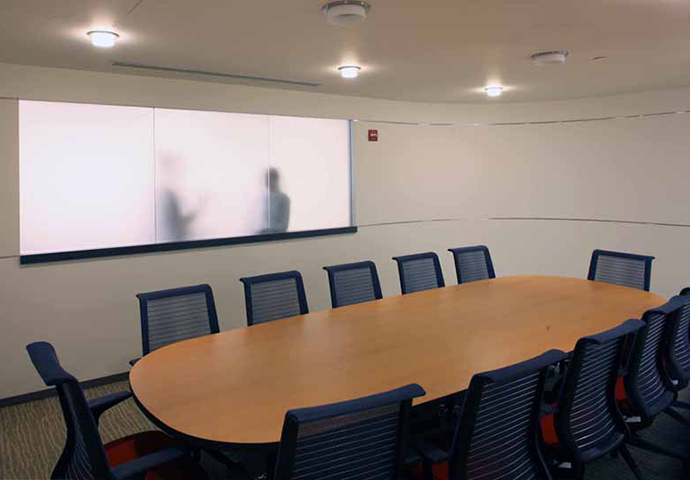 Suitable for smaller group activities is an adjacent small conference room with a translucent window. 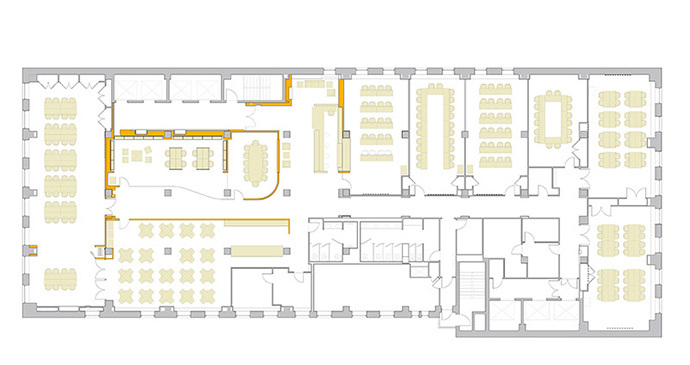 Extending the length of the space is the main corridor which is concluded by a large conference room at one end and a series of the classrooms at the other. 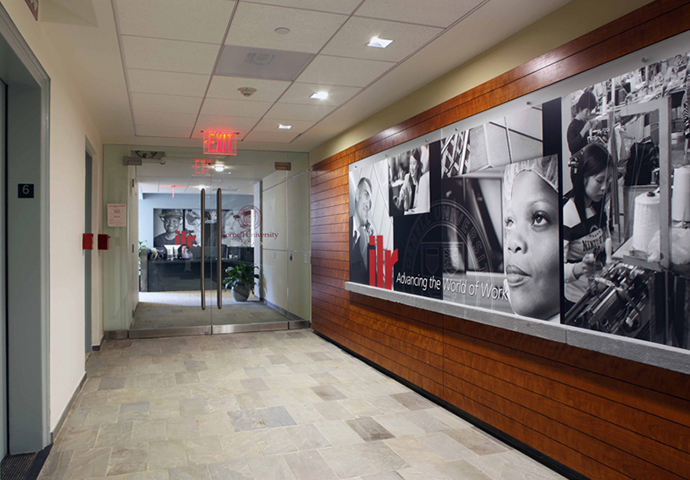 A sophisticated palette of well detailed, durable materials creates a sense of substance and place. 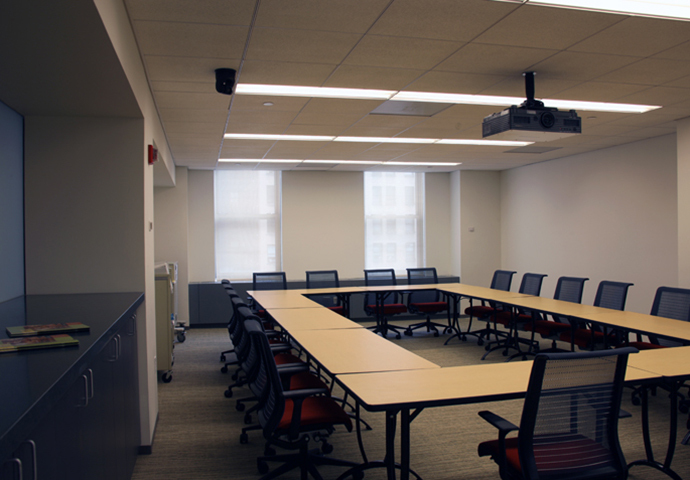 The technology upgrade supports an extensive educational program including video conferencing, and updated HVAC systems offer improved air quality.